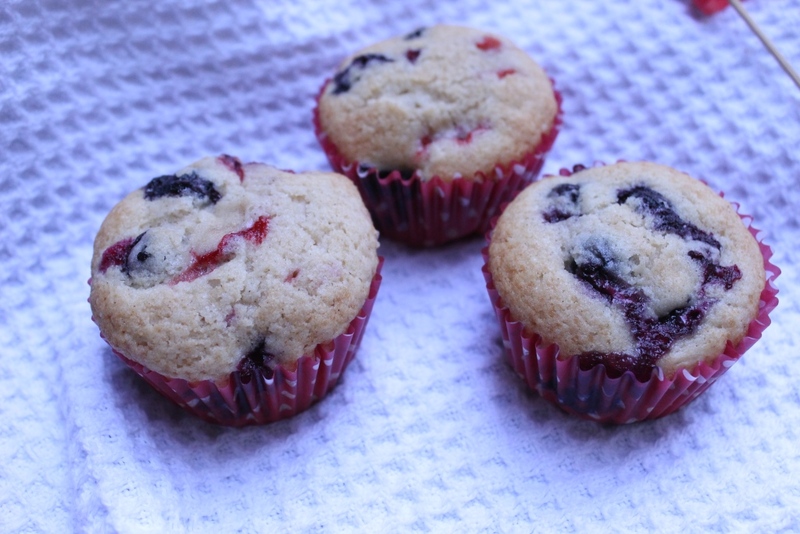 While I daydream of blueberry bushes, I will make these muffins. This is my favorite recipe, usually I’ll throw in blueberries that are in the freezer from going blueberry picking in west Texas. 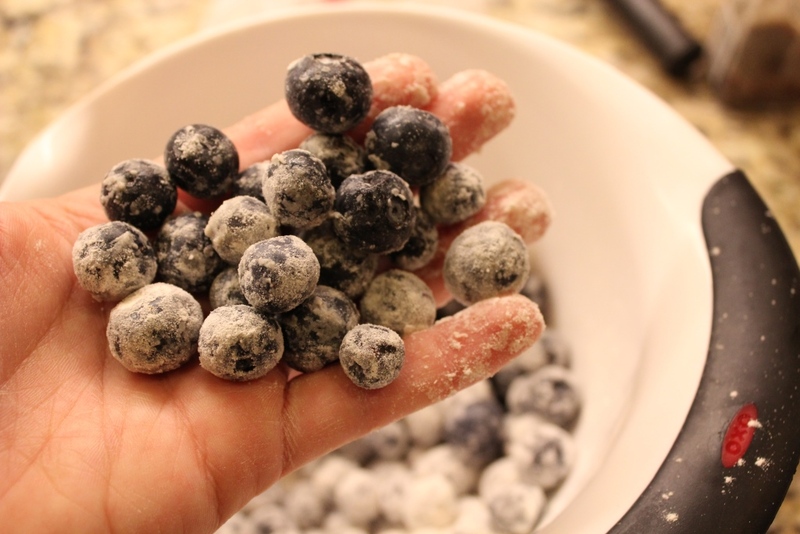 If that isn’t the case, frozen wild blueberries are amazing, or in this case, a mix of berries. Tips Tips! 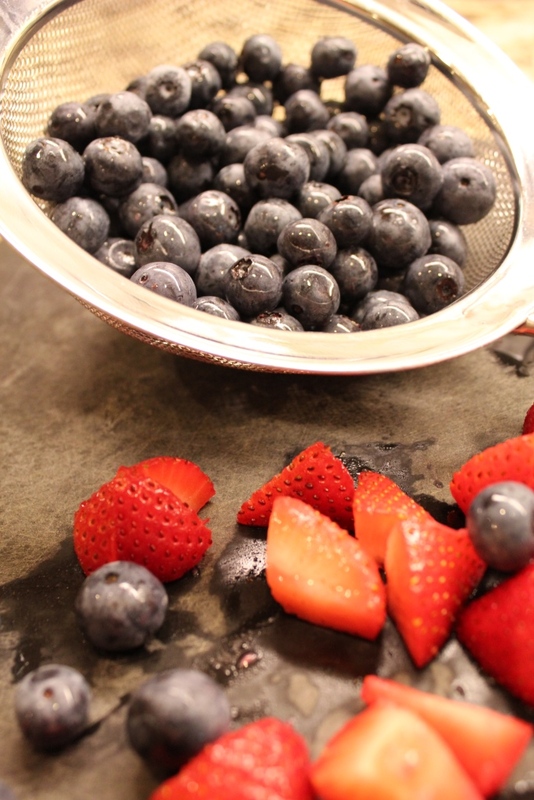 To avoid the berries sinking to the bottom, toss them with a bit of your dry ingredients. This will help them stick in the batter. I do this with frozen and fresh berries. And since I can’t resist- there’s more tips after the recipe title. Happy Muffin Baking! This recipe is SO good it’s my go-to muffin (when I’m not feeling a pumpkin muffin). A couple quick tips: Sprinkle the top with raw sugar for a crunch. Use whole milk for the best flavor. Toss berries (either a mix, or not!) with a little of the dry ingredients to keep them from ending up on the bottom of the muffin. 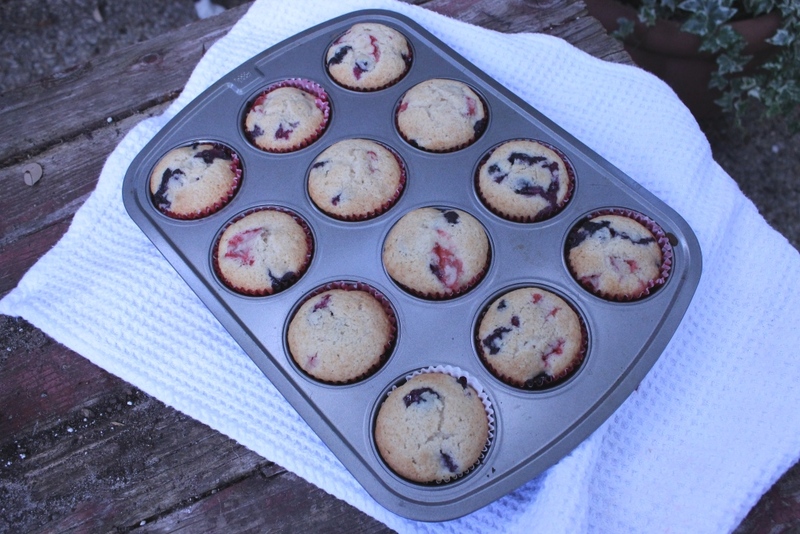 Preheat the oven to 375 degrees and prepare your muffin tin. In a bowl, mix together the flour, baking powder, cinnamon, ginger, and salt. Set aside. 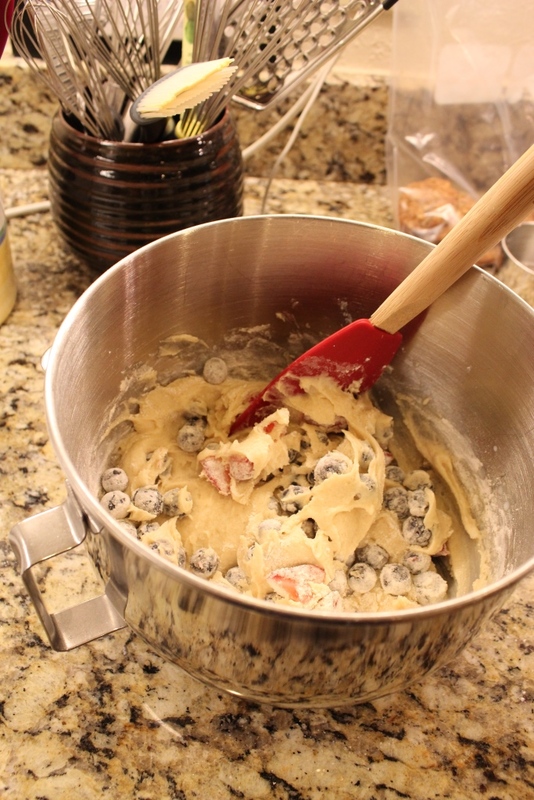 In the bowl of an electric mixer, cream the butter and sugar. Add the eggs one at a time, beating after each addition until combined. Measure the milk and add a glug of vanilla to the measuring cup. Set aside. In a bowl, toss the berries with a spoonful of the dry ingredients. Now let’s combine it all! Add the dry ingredients to the creamed butter and sugar. Mix just until combined. Scrape down the bowl. Then add the milk/vanilla beating until combined. Don’t overmix! 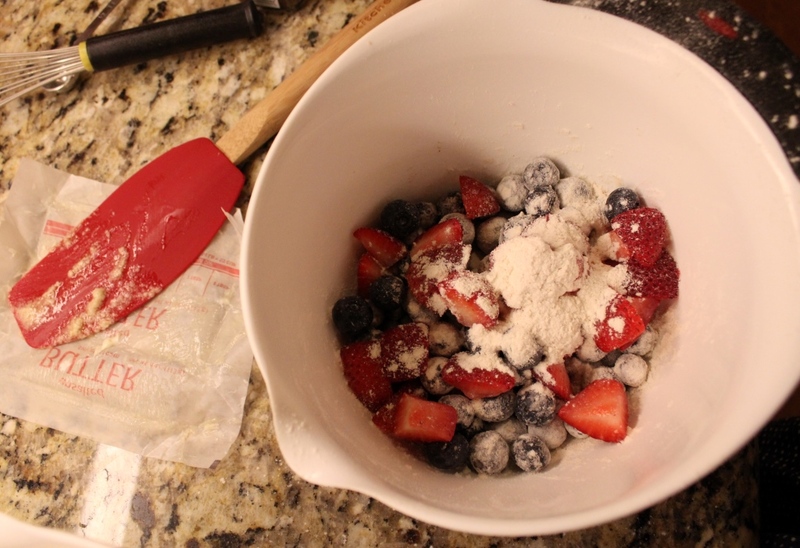 Remove the bowl from the mixture and fold in the berries with a spatula. Divide the batter between the muffin cups, filling 3/4 full. Sprinkle the top with raw sugar. Bake about 20-25 minutes or until lightly brown and a toothpick inserted into the muffin comes out clean. Baking Tips: When Bread is Done! ah I know!! Fortunately they’re on sale right now- so I see lots in my future and hopefully and stash in my freezer!